A wrap-around seat structure creates a virtual cocoon of protection and features an updated shoulder harness with a multiple height adjustment system. An innovative suspension system cushions bumps and jolts and the integrated roll bar gives extra head protection and doubles as a carrying handle. Adjustable footrests and straps keep small feet away from spinning wheels. 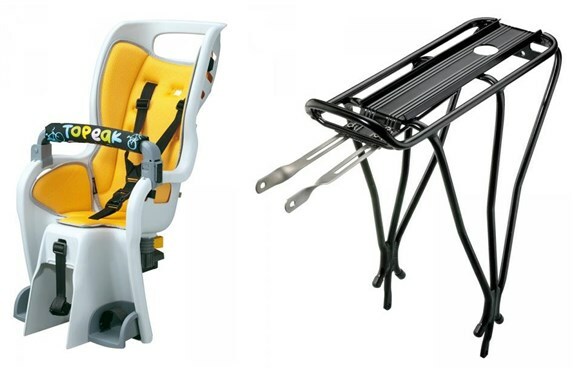 Child seat complies with stringent European, CPSIA and Proposition 65 safety standards. TrunkBags and MTX Rear Baskets.